That’s something we can agree with Nietzsche about. But where do you find your music? We used to rummage around in stores to find physical records, discs, and tapes; and not long ago, we had to pay more than $10 for a single album. These days, however, you can sit anywhere and stream just about any song you want for less than $10 a month. In fact you can get a lot of music without paying a single penny. In this roundup we’re going to look at exactly what you do get for “free” in the competitive world of music streaming. 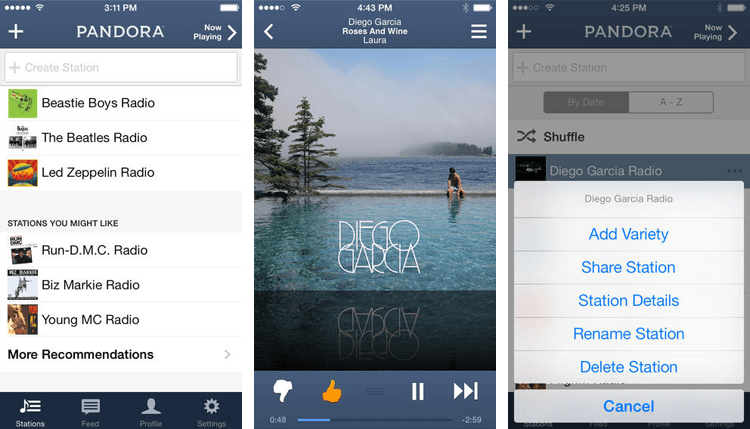 Music discovery is the name of the game for Pandora. Pick a start point and then tell it what you like and it should hone in on music that will tickle your fancy. It doesn’t have such an expansive collection, but the algorithm is pretty smart. For free access, you’ll have to put up with adverts and you are limited to 6 skips per hour per station and 24 total skips per day across all stations. As one of the oldest music streaming services around, Spotify has an awful lot going for it. There’s a lively community, radio stations, easy social media sharing, and a huge range of playlists to discover. If you’re willing to listen to ads every couple of songs then you can stream millions of tracks for free, forever. 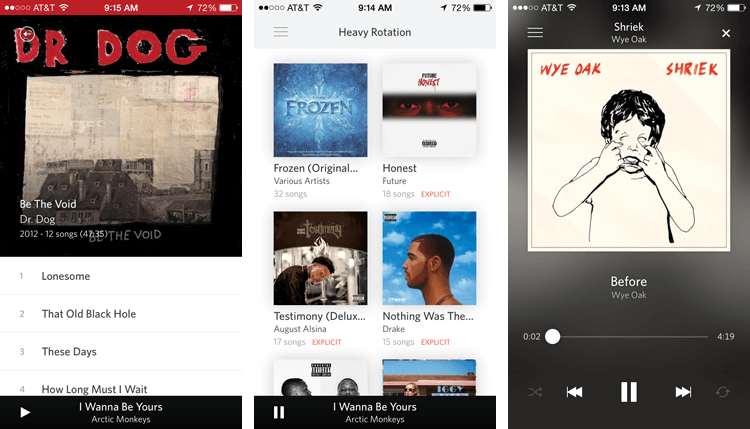 The free version also restricts you to shuffle mode when you’re using one of the mobile apps. There is a big catalogue of tracks on Google’s Play Music All Access service, but you can only get a free trial for a month. 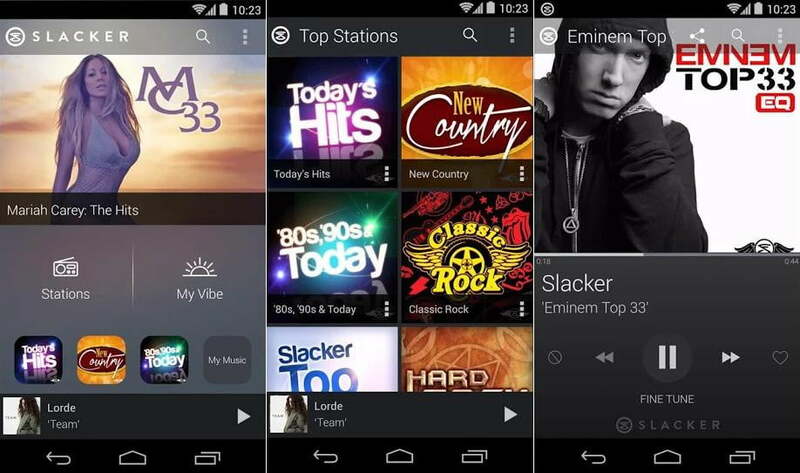 You can create custom radio stations and play whatever you like on-demand. 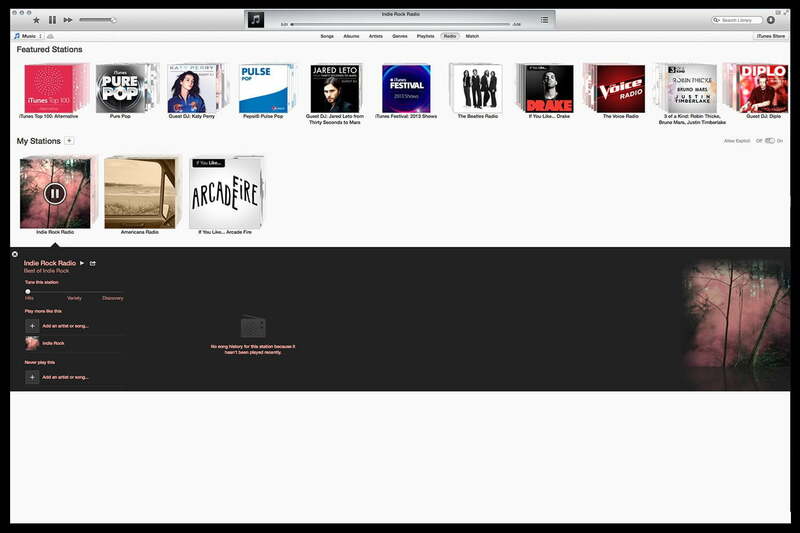 It also allows you to upload up to 20,000 of your own tracks for free, and they’ll then be accessible from the cloud, this makes it easy to upload an iTunes collection. Apple offers a bunch of free radio stations for Apple devices. 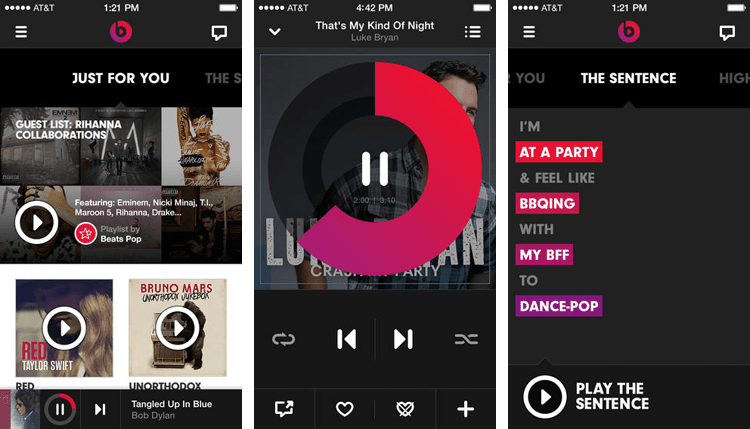 You can choose DJ-curated stations, modify stations, and create your own. You are limited to six track skips per hour per station. You will also have to put up with adverts if you want that music for free. This is probably the biggest on-demand music streaming service that has yet to launch in the States, but it is expected to very soon, so keep an eye out for it. It does have apps for Android, iOS, Windows Phone, BlackBerry and more platforms, but you can’t use the mobile apps with a free “Discovery” account. You get a year’s unlimited playback that’s ad-supported, but after that you’ll need to subscribe or have the limit cut to two hours per month. It has radio stations, playlists, and social media built-in. You can access 20 million songs for free on your computer in the U.S. or Australia, but you will be subjected to adverts. 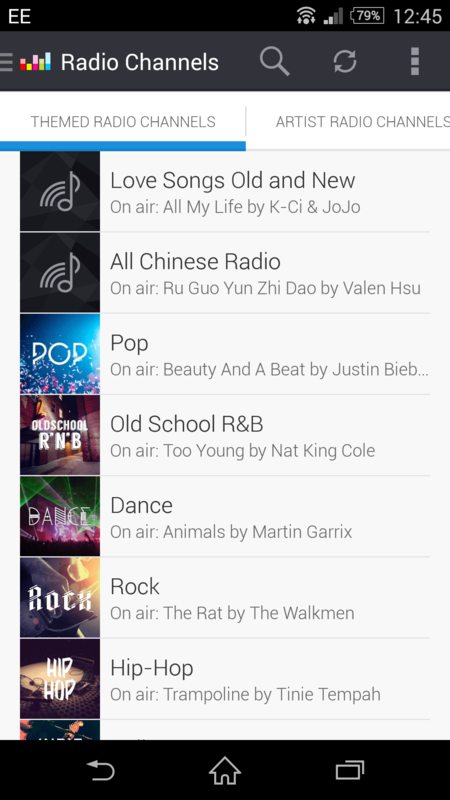 On mobile apps you’ll be limited to radio stations, so you can’t get on-demand songs or playlists like you can on the computer. There is also a limit of six skips per hour. If you want to try the ad-free unlimited version (with 30 million songs) you can get a 14-day free trial of it. There’s a big library of songs, curated playlists, and a system of filters to find the right music for your tastes and mood. You’ll also find social media integration and offline support, but the free trail is limited to just two weeks. Here’s another radio service with a full range of mobile apps. 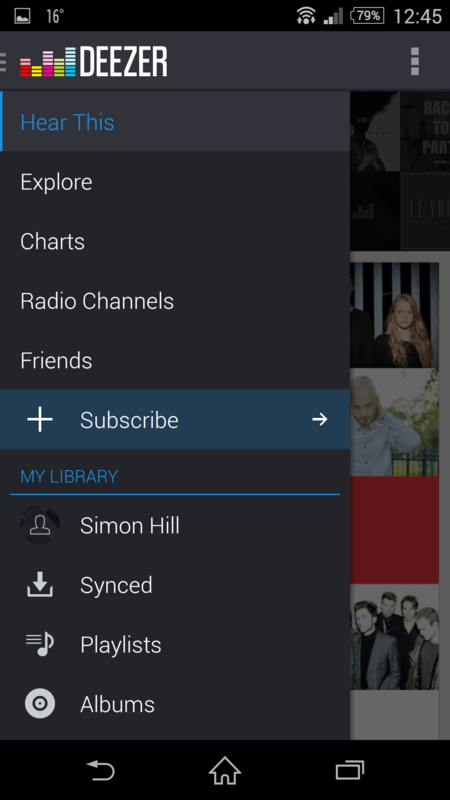 The free account gives you access to curated stations with more than 10 million tracks in total, but you will have to put up with adverts and there’s a six skips per hour limit. It also has a bunch of talk radio stations. It’s only available in the U.S. and Canada. 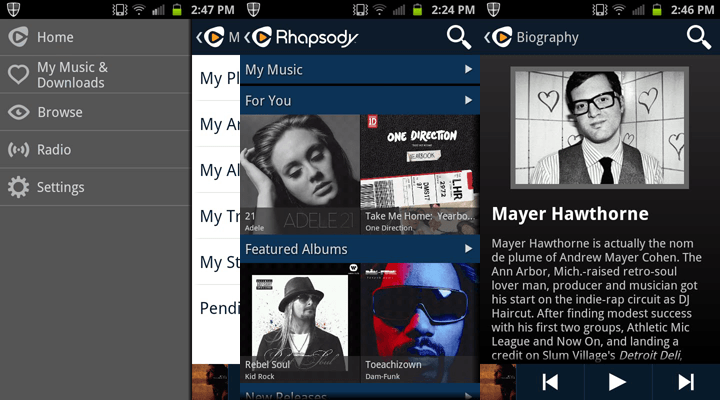 Dating back to 2001, Rhapsody is a subscription service that offers ad-free on-demand music whenever and wherever you want. You can get a 30-day free trial of the original service and there seems to be a new offering with more songs called unRadio which is currently offering a 14-day free trial. 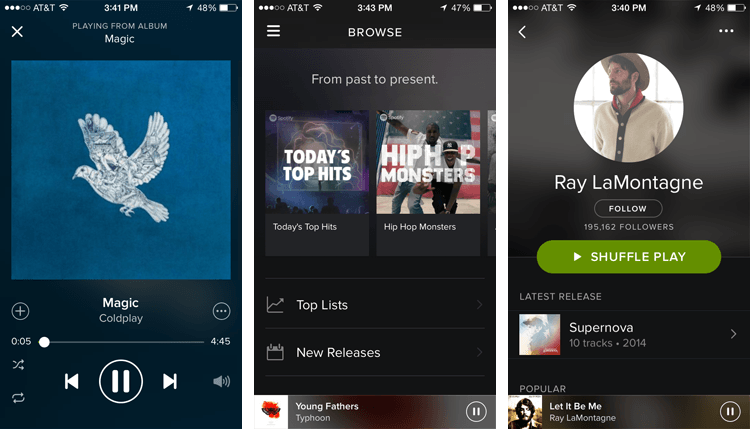 Rhapsody also owns the re-launched Napster service which offers a 30-day free trial for access to over 25 million songs. It’s a free ad-supported service based on user uploaded tracks, which has been reinvented after some legal wranglings. 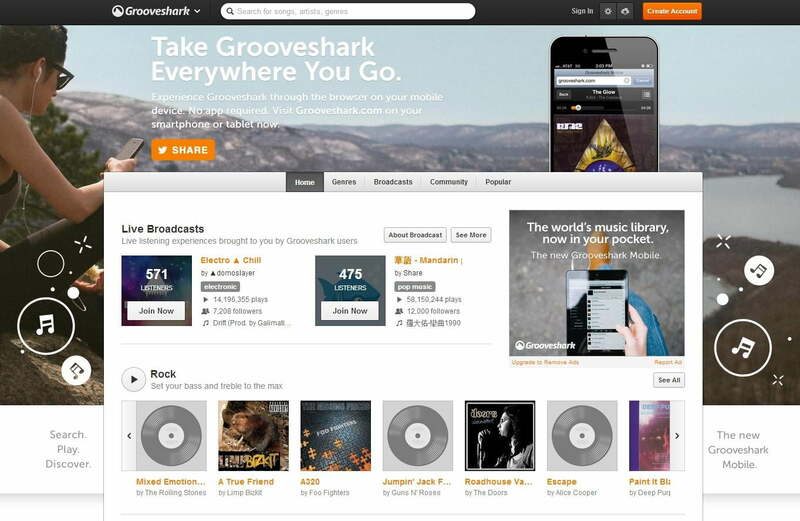 The mobile apps were removed from the official app stores, but it is possible to use Grooveshark on your mobile through the browser. 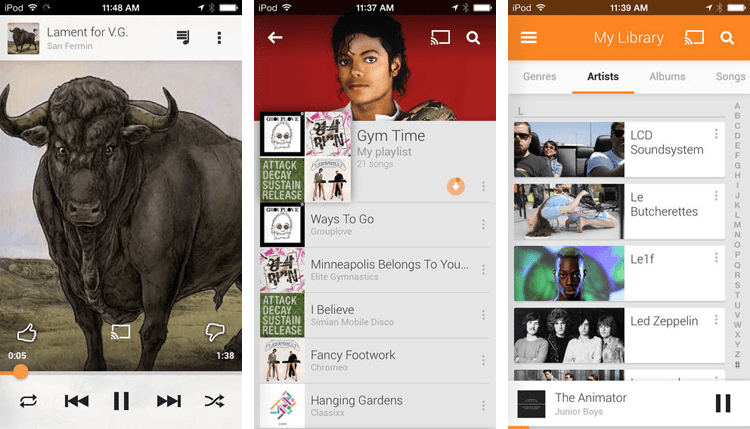 You can create playlists, upload your own music, and tune into stations. You can get a three month trial of the VIP ad-free service. If you have a supported Samsung device then you can get the free Milk Music service which offers over 200 stations and is powered by Slacker. If you want to tune into real radio stations from around the world then check out TuneIn Radio and iHeartRadio. Xbox Music has a free ad-supported option and claims to have over 30 million songs, but it does lack features. There are quite a few other services out there as well. Post a comment and tell us about your favorite free source for music streaming.